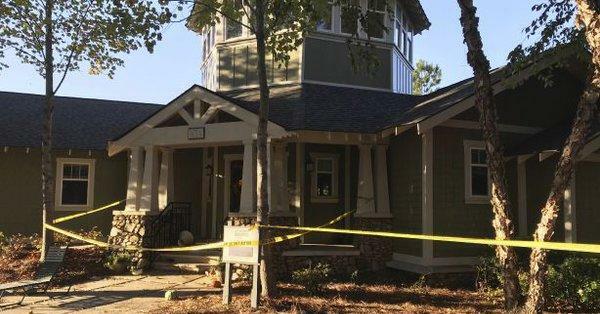 A chill party was going on and people were happily dancing in a condominium clubhouse near Clemson University when their fun was rudely interrupted as the floor of the venue shockingly collapsed, hurtling dozens of the partygoers into the basement. Authorities said the incident took place in a large private party on early Sunday when the center of the floor just caved in at the clubhouse. Around 30 people were brought to local hospitals to check on their condition following the freak accident. Clemson City Police said that thankfully nobody was trapped and no one among those affected none appeared to have sustained life-threatening injuries. The room happened to be packed at the time of the accident, and a popular song was playing prompting more people to dance more energetically when the floor collapsed. Video posted on social media of the incident is now going viral. It shows a large part of the first floor falling as partygoers danced, triggering many of them to tumble to the floor below. People screamed when the floor collapsed, and the partygoers who didn’t fall stood around the remaining edges of the floor and could only stare below them in utter shock. Some people, however, were alert enough to pull out their mobile phones and record what was going on. Authorities said the clubhouse at The Woodlands had been leased for a private party. The condominium complex was built in 2004-2005. Property manager Tal Slann told the media that he could not comment on whether the number of people exceeded the floor’s capacity at that time. It is not clear at this point if any cases will be filed against anyone for possible accountability to the injuries sustained by the partygoers. The beat was about to drop, wtf? The floor collapsed into a living room two floors below. The White occupants weren’t home, luckily.